According to a 5 May 2016 Utah Valley 360 report, “The 2016 Donny arrives at The Flamingo in Las Vegas just 30 minutes before his five shows each week, and with his plane and pilot, he comes directly home to Provo a few nights a week after his high-energy sell-outs.” What an incredible life. In Donny’s younger years when he played Joseph in “Joseph and the Amazing Technicolor Dreamcoat,” he struggled with significant anxiety which made performing difficult and also made it hard to press forward with his career. During this difficult time, he confesses that this is where he grew and began to find himself. It is so refreshing to hear someone talk about anxiety and mental and physical challenges that we all face, whether we are known publicly or not. Mental illness is a real issue that people struggle with daily. It is something that needs to be addressed and not downplayed. Just as Donny said, through these tough times we can find ourselves and experience exponential growth as we face our struggles and move forward with faith. Donny had to do exactly this, and it is something that we all will have to do as we face the world and ourselves. In time, we will find ourselves, and the happiness we have earned and choose to feel will flow into our lives as we overcome each challenge with hope. A critical aspect that influences Donny’s everyday life is his religion. Donny Osmond is a member of The Church of Jesus Christ of Latter-day Saints. In the 70’s Donny would receive a lot of letters asking him interesting things about Mormonism, and so he decided to dedicate a section on his website to explaining and expressing his beliefs. I often wonder how I would react to fame and how or if it would affect my religious beliefs. 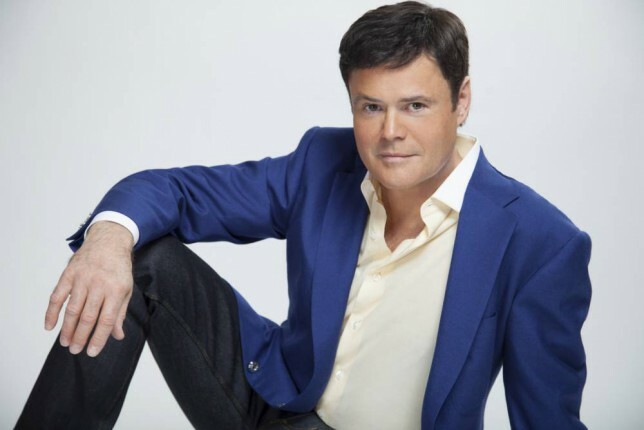 It always strengthens my testimony to see people like Donny Osmond, who have stood their ground throughout the ever-changing and declining standards of the world we live in today. There will always be challenges in life, struggles that we must face, things we must experience, but staying determined and pressing forward with hope is the most important thing we can do. Donny was able to do this, he is now one of the most famous Mormon artists and can enlighten and inspire all those who hear about his story and listen to his music. Life is about the experience; it is about working hard and still being able to do what you love. Donny found his love for music and performing and built his life off of that. Each one of us has our hobbies and things that make us feel alive, let’s never give up those things just because there are hard days, months, and even years. Time heals all wounds. Donny has found more happiness and excitement with each coming year, and so can each of us!! He says that he plans to perform into his mid-80’s and live to the age of 106. What an outlook on life!! Be who you are and do what you love, and never let anything or anyone stop you. “Your Song” I have heard for a while easy to listen to. The fact that it’s sang with passion, even though you have heard it many times, is the reason why it comes over as a personal song to each and every one of us !!! Thanks Donny for the simple way it was sang !!! Donny is amazing and such an inspiration his faith and strength of character shines through everything that he does.. I thought the article was wonderful. The video at the end of the article was fantastic I absolutely love that song.